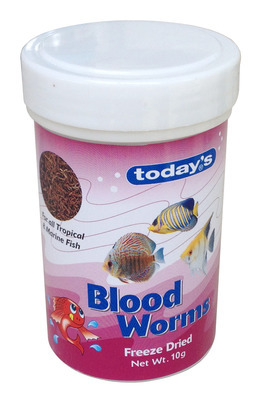 This process preserves the excellent nutrional factors of live blood worms and also preserves their flavour just like real live worms without all the fuss and bother. To enhance natural colour and use as a regular dietary food supplement. For all tropical fish, gold fish, small fish, discus, cichlids and especially for Arowana and Discus. Today's unique food is 100% Blood Worms wild caught from rivers.